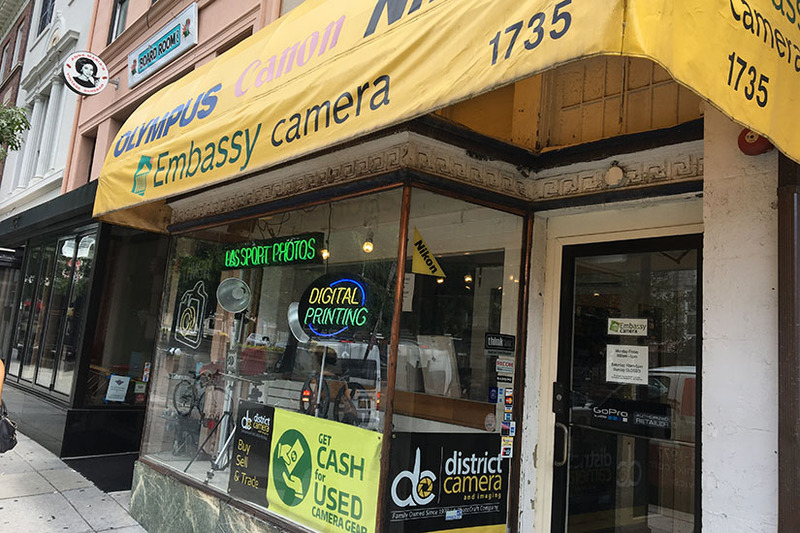 A longtime Dupont camera shop slated to shutter soon will reopen downtown. District Camera — also known as Embassy Camera — is set to close its location at 1735 Connecticut Ave. NW and reopen near the Carnegie Library, according to store employee AJ Glover. Though the store previously planned to leave the neighborhood earlier this month, it now plans to leave by Sept. 20, Glover said. 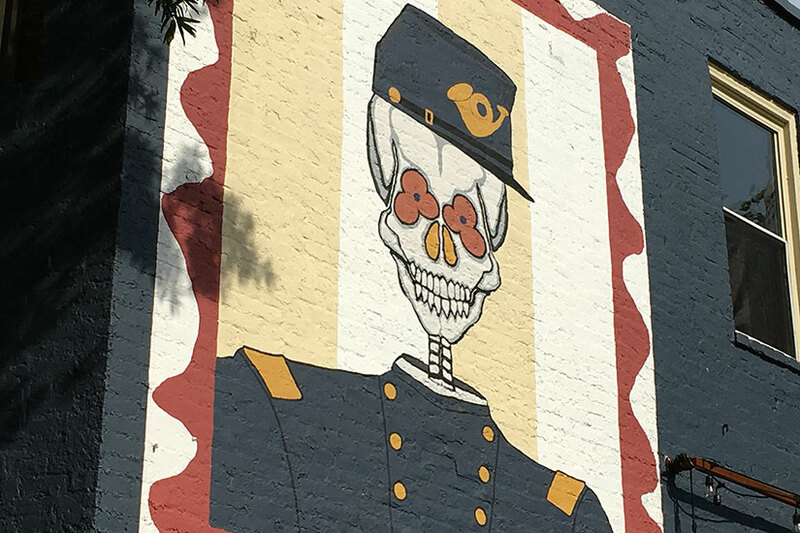 (Updated at 5:24 p.m.) D.C.’s General Services and Parks and Recreation departments will help bring a firetruck to an Adams Morgan playground tomorrow afternoon, but it won’t be Freddy. The agencies are scheduled to host a “family fun day” in Walter Pierce Park Thursday from 4-8 p.m., according to an email from the Mayor’s Office of Community Relations and Services. The event will include free popcorn, a moon bounce, an inflatable slide and a working firetruck from D.C. Fire and EMS. 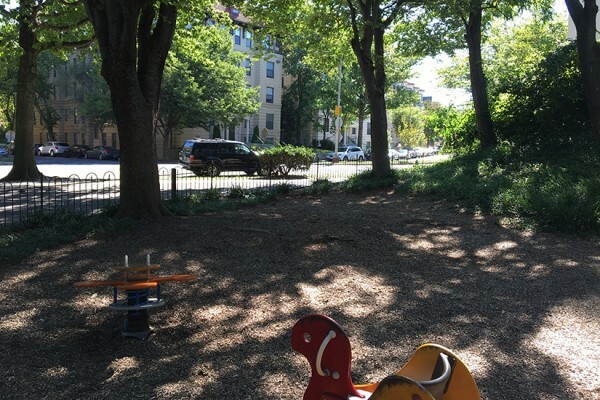 District officials will also use the party to update locals on the status of the plan to replace Freddy Da Firetruck, the beloved playground equipment that DGS mistakenly disposed of earlier this month. As detailed by the Washington Post, workers trashed Freddy after months of back-and-forth between frustrated locals and city officials. A man was met with gunfire when he chased after a robber who pistol-whipped him in Columbia Heights early yesterday morning, police said. The violent encounter happened on the 1300 block of Meridian Place NW about 1:15 a.m. Tuesday. 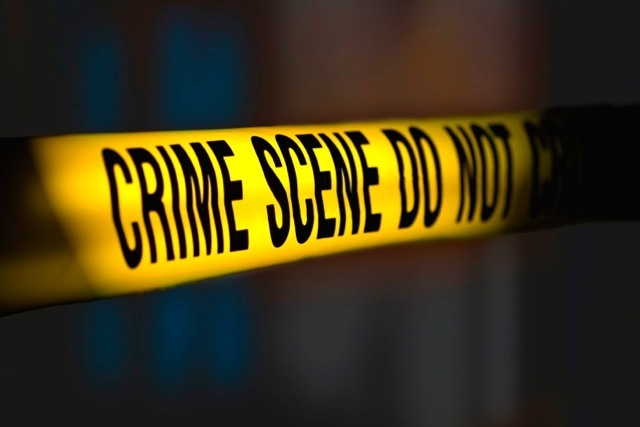 The victim and another man were walking about three blocks north of the Columbia Heights Giant when a silver car with three people stopped near them, according to authorities. Two of the people eventually got out of vehicle. One of them then used a handgun to hit the victim several times in his head before taking the man’s wallet. The thieves left to return to their car soon after. But the victim wasn’t done with them. He chased after the duo until one of them fired a gun multiple times and fled with the other suspects, according to authorities. The victim was brought to a local hospital for treatment. Police haven’t released any suspect descriptions. Virginia attorney Matthew Crowley focuses his efforts on defending individuals who are facing felonies, misdemeanors, as well as serious traffic offenses across Northern Virginia. In a stunning move that has sent private prison stocks tumbling on Wall Street, the U.S. Justice Department announced Thursday that it will be phasing out the use of privately owned prisons. Thirteen contracts will be allowed to expire by 2021. With the news of the revised policy stance, Corrections Corp. of America stock plummeted 50 percent on the day of the announcement, signaling a new chapter in the era of mass incarceration by the United States’ prison industrial complex. The decision by the feds will not affect individual states, but the move comes less than six months after Mayor Muriel Bowser made a similar announcement about the District’s reliance on private prisons. In March, Bowser said that the District would not renew its contract with CCA in January 2017. The District has been locked into a 20-year contract with CCA since 1997. 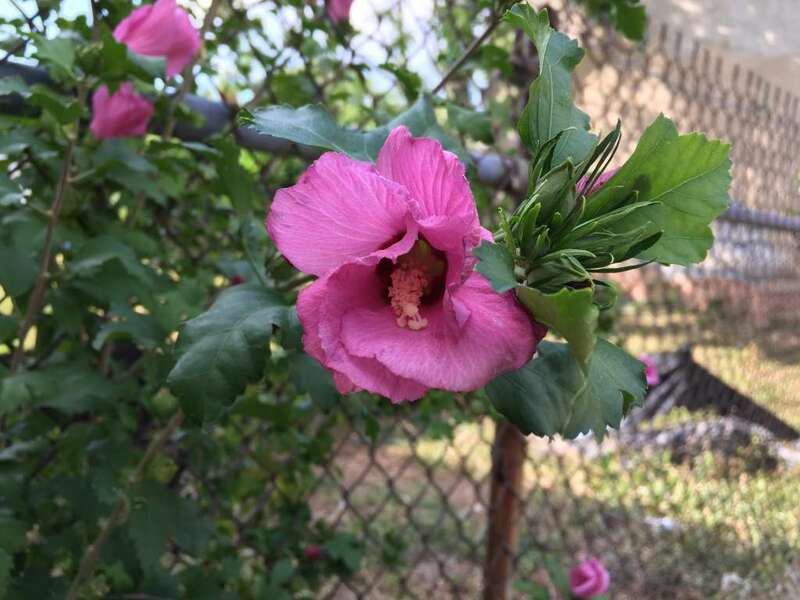 However, once the contract expires five months, the Correctional Treatment Facility at 19th and D Streets, SE, will revert to Washington D.C. Department of Corrections administration. With Thursday’s Department of Justice announcement, within five years, no prisoner sentenced in the District will be held in a private facility. That’s good news for families and friends of incarcerated men and women. One of the reasons for the DOJ policy change is an Inspector General’s report that found private prisons have a higher rate of violent incidents compared to government-run facilities. There was also more rule breaking in private prisons by staff and prisoners alike. While no prison is entirely safe, government institutions are typically run more effectively in terms of results and costs. The move by the DOJ comes close to the end of President Barack Obama’s term; during a national push for criminal justice reforms; and on the heels of a hotly contested Democratic presidential primary race. During his campaign, Sen. Bernie Sanders promised to end the “private, for-profit prison racket.” He sponsored a bill to terminate use of private prisons because the criminal justice system could not be fixed while corporations benefit from mass incarceration of citizens. Private prisons house nearly 25,000 federal inmates across the country, or roughly 10 percent of the federal prison population. According to ACLU statistics, the percentage is lower for state inmates, at about 6%, but the total number of prisoners is higher since there are more state than federal inmates. The actual number could be as high as 125,000 or more state prisoners in private custody. In addition to problems with frequent violence and rule infractions — on both the part of prisoners and staff at private prisons – found by the Justice Department, there is another downside to the corrections industry. Private prison conditions are often the target of multiple long-running legal dramas because of Eighth Amendment cruel and unusual punishment lawsuits and other civil rights violations. Among the many claims brought by prisoners against CCA and other private companies, health care concerns rank among the most frequent. In the privatization of prisons, cost cutting is a major concern for companies to increase the profit margin. Service cuts, including health care, often leave prisoners at risk. Even the U.S. Supreme Court noted in Richardson v. McKnight, a 1997 case focusing on private prisons, that private firms seek to maximize profits, which ultimately means minimizing costs. Additionally, in the Richardson dissent, Justice Antonin Scalia touched on the issue of higher violence rates in private prisons vis-à-vis a cost issue. Therein, Scalia intimated that discipline may be down-played to reduce lawsuits by stating, “the more cautious the prison guards, the fewer the lawsuits, the higher the profits.” If guards do look the other way and do not impose strict disciplinary standards, then the prison becomes a breeding ground for chaos and violence. Private prisons have no place in a society trying to combat decades of mass incarceration. A commercial facility built with the sole purpose of warehousing men, women, and in some cases, children, defeats every reform effort. At one time, warehouses were a sign of progress and productivity in America, a sign that something was being manufactured, marketed, and contributing to the economy. Perhaps private institutions, instead of being shuttered when the DOJ contracts expire, can be rehabilitated as institutions of America’s innovation and more positive first-nation attributes. Borderstan contributor and law firm sponsor Price Benowitz LLP. The views and opinions expressed in the column are those of the author — our contributor and law firm sponsor Price Benowitz LLP — and do not necessarily reflect the views of Borderstan. Presidential candidates dedicated to getting a D.C. comedian into the White House, using cantaloupes to solve the nation’s problems and advancing other fringe issues are set to debate in Columbia Heights tonight, for laughs. 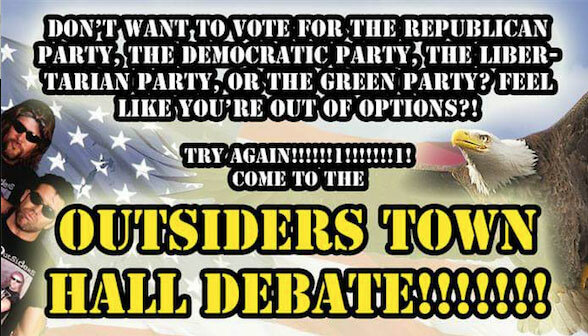 Comedians representing the Cantaloupe and Steven Chen parties, among other lesser-known political groups, are scheduled to hold a free “Outsiders Town Hall” at The Wonderland Ballroom (1101 Kenyon St. NW) at 8 p.m.
Ahmed Vallejos, who is producing and moderating the debate for comedy group Laugh Owens Laugh, told Borderstan in an email that the candidates will take questions from him and audience members. Do you want to know what these candidates would do with the economy? Do you want to know what lives they think matter? Do you want to know if they can bench press you? Find out for yourself! 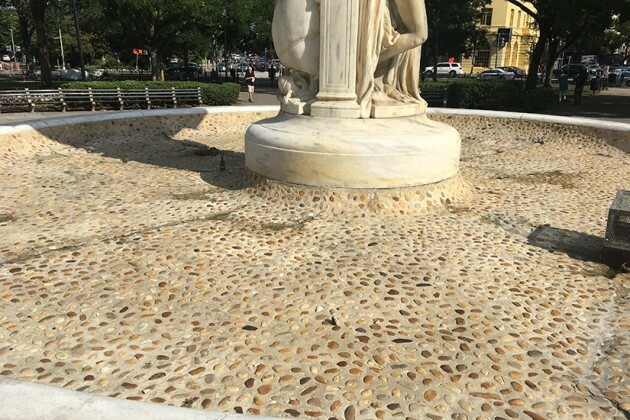 Dupont Circle’s landmark fountain is dry again, and this time it’s because of green slime. 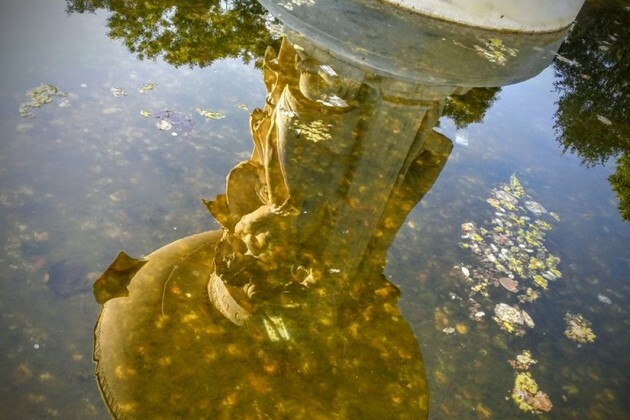 The scum, said Park Service spokesman Mike Litterst, was algae that flourished due to a “clogged intake line” in the fountain’s pipes. The clog prevented fresh water from circulating in the fountain, leading to the slimy mess, Litterst explained. 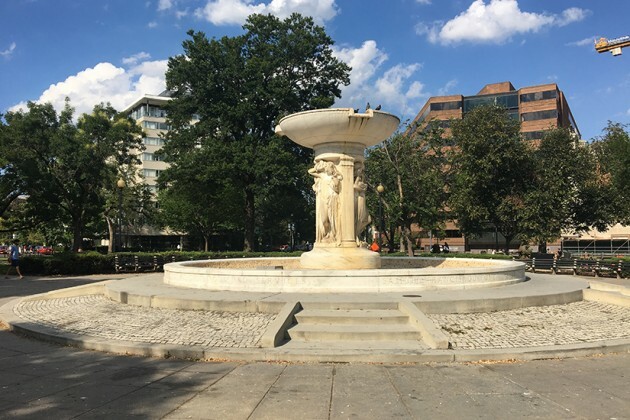 Dupont Circle’s fountain has had somewhat of a troubled year. The fountain overflowed immediately after workers switched it on in May. Then, leaks in the fountain’s piping caused it to stay dormant until mid-July. 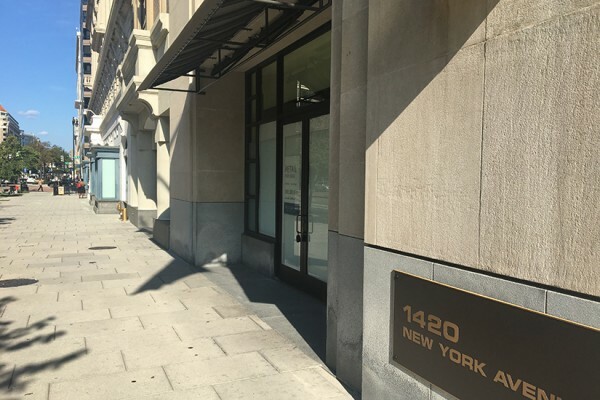 (Updated at 9 a.m. Thursday) The chef behind a sushi restaurant in Bethesda has plans to open a new eatery in downtown D.C.
Yoshi Ota, executive sushi chef at Yuzu in Bethesda, will open a new restaurant called Sushi Gakyu at 1420 New York Ave. NW later this year, he told Borderstan. The forthcoming eatery will serve “traditional and modern sushi, sashimi, and varieties of Japanese fish menus with my 30 years experience as a sushi and fish expert,” Ota said. Ota is a veteran of Sushiko in Chevy Chase and the late Kushi in Mt. Vernon Triangle, according to his bio. He also previously owned a restaurant called Ginza Gakyu in Tokyo, Japan. If all goes according to plan, Sushi Gakyu should open “around the end of 2016,” Ota said. A man reclaimed his stolen scooter after taking a punch to his face and a screwdriver to one of his arms in Columbia Heights yesterday, police said. 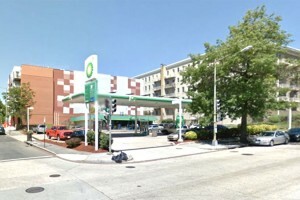 The attack occurred at the BP gas station at 2600 14th St. NW about 5:45 p.m. Monday. 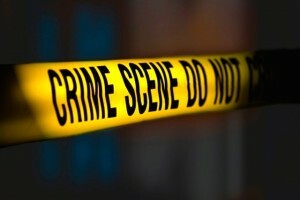 The victim was waiting for cops to arrive to take a report on his stolen scooter when he and another person saw two young men riding it toward the BP, according to authorities. 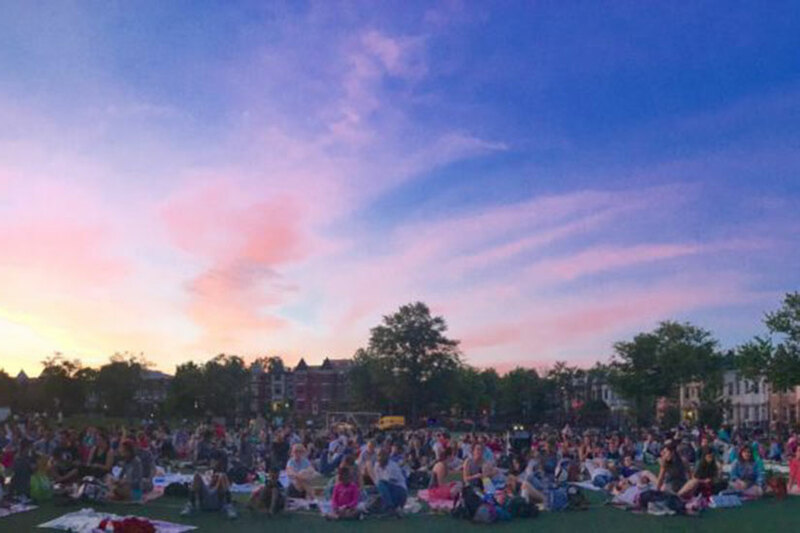 “Star Wars: The Force Awakens,” “Jurassic Park” and “Airplane!” could get free alfresco screenings in Columbia Heights next month. The Columbia Heights Initiative is slated to hold a film series at the Tubman Elementary School Field (3101 13th St. NW) on four Friday nights in September, starting next week. The organization is letting locals vote online on which movies should play on Sept. 9, 16 and 23. Tubman students will have the opportunity to choose the Sept. 30 flick. 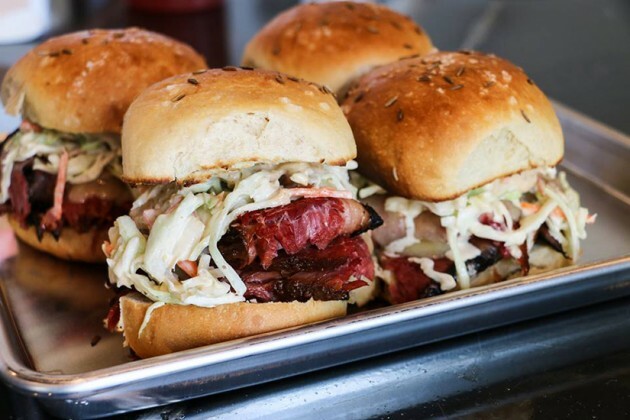 A long-awaited eatery from Chef Marjorie Meek-Bradley will start serving its signature pastrami sandwiches in Shaw next week. 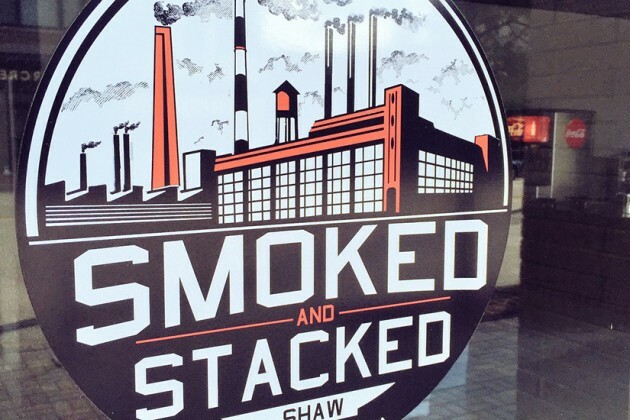 Smoked and Stacked (1239 9th St. NW) is slated to open for lunch on Friday, Sept. 9 from 11 a.m. to 3 p.m., a representative for the eatery confirmed. Food writer Nevin Martell first broke the news on Twitter earlier today. When the restaurant opens next week, diners can order sandwiches bedecked in pastrami, smoked chicken and house-made sauces and slaw, according to the eatery’s menu. Patrons can also mix and match ingredients build their own sandwiches. 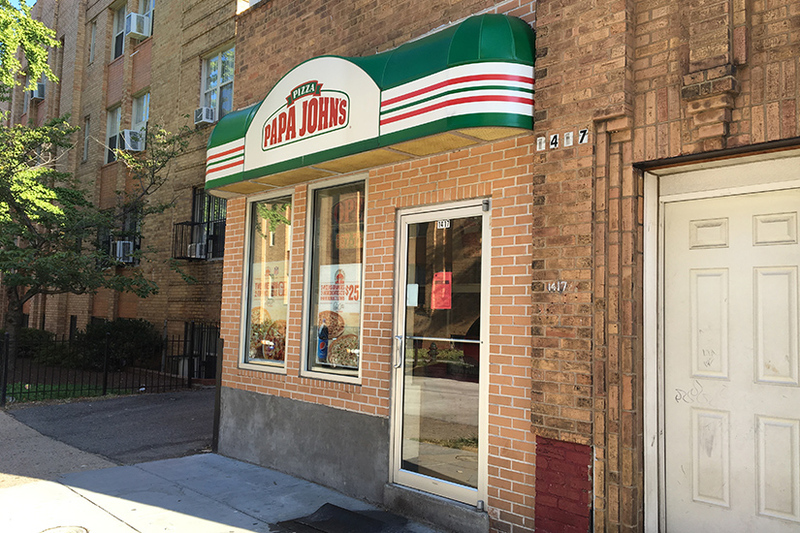 A Papa John’s in Columbia Heights is now open after a food safety and hygiene inspector reported a “heavy infestation of vermin,” according to the D.C. Department of Health. The pizza shop at 1417 Otis Place NW reopened Saturday after the DOH official closed it Thursday. 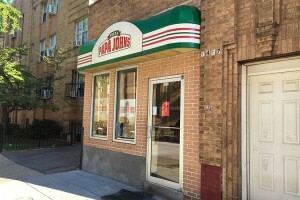 The Papa John’s passed a follow-up DOH inspection, allowing it to resume business. The DOH inspector on Thursday found a “gross insanitary occurrence or condition that may endanger public health including but not limited to heavy infestation of vermin,” according to the agency. But DOH has yet to elaborate. 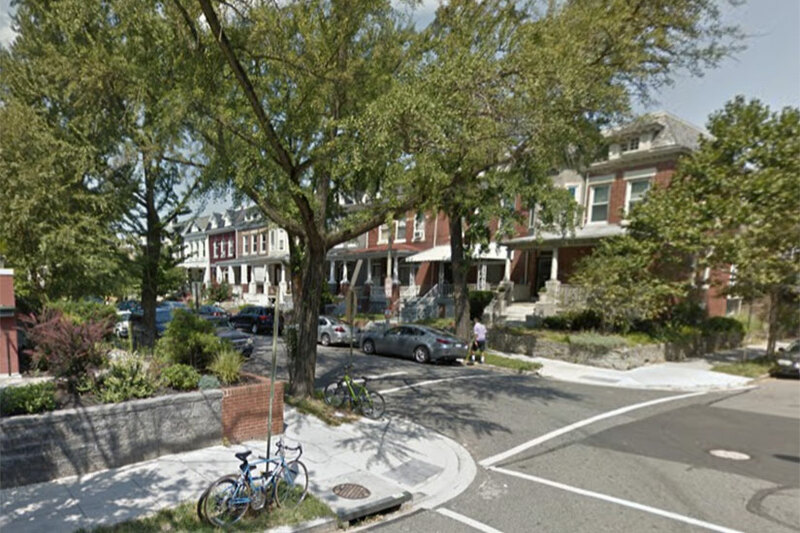 Two men were stabbed in separate attacks in Adams Morgan early this morning, police said. 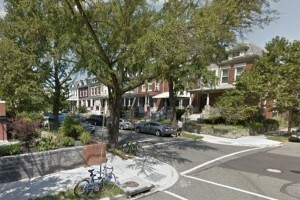 The stabbings happened on the 1700 block of Columbia Road NW and on the 2800 block of 16th Street NW. In the Columbia Road crime, someone hit the victim in the head with a rock and stabbed him in the back after he left My Canton Restaurant about 1:15 a.m., according to authorities. People were fighting outside My Canton before the victim left the eatery. Police haven’t released a description of the suspect, who fled on a bicycle. (Updated at 11:53 a.m. Tuesday) A man was seriously injured after a tree fell on his car as he was driving it along Beach Drive earlier this evening. The incident happened on Beach Drive below the Duke Ellington Memorial Bridge, according to D.C. Fire and EMS spokesman Vito Maggiolo. The man was driving north on Beach Drive when a tree suddenly fell on his car, trapping him inside, Maggiolo said. Bystanders who witnessed the accident lifted a portion of the tree off of the vehicle and pushed the car out from under it. About 30 people aided in the rescue, according to The Washington Post. Firefighters freed the man from the car and took him to the hospital, where he was listed in serious condition. Nobody else was inside the car when the incident occurred, Maggiolo said.